Levi Beer was born in Uplyme, Devon, on 29 October 1843. He was the son of cheese dealer William Beer (1811-1887) and Lydia née Mooring (1804-1890). In the 1851 census seven-year-old Levi was living with his parents and five siblings at Yeovil Hill, Uplyme. By the time of the 1861 census Levi and his younger brother Edward, both agricultural labourers, were the only children still living at home with their parents. In 1871 the census recorded Levi working as a cheese dealer like his father, but was living with cheese dealer Josiah Norman and his wife Elizabeth at Tytherleigh, near Chard. On 13 January 1878 at Clay Cross, Derbyshire, Levi married Caroline Haywood, eight years his junior and the daughter of John H Haywood (1820-1901) and Mary née Daykin (1822-1900). Levi and Caroline, known as Carrie, were to have three children; William Levi, known as Willie, born 1879, Albert Edward born 1882 and Claude Ernest born 1886. In the early years of their marriage Levi and Caroline were to move around a fair bit, their first son was born in Nottingham in 1879 but by 1881 the family had moved to London where Levi worked as a fishmonger and living with them at Lee Bridge, Lewisham, was a general servant and a fishmonger's assistant. Levi moved his family to Yeovil in the mid-1880s and continued his earlier occupation of cheese merchant. It was shortly after his arrival in Yeovil that Levi campaigned to get himself elected onto the town council. Levi was fervently against party politics; he was locally famous for his election slogans such as "Don't vote for water, vote for Beer" and, on standing for election in Queen Victoria's Jubilee Year of 1887, his election slogan was "No cold-water Jubilee - vote for Beer". Levi was, apparently, well known for his explosive arguments with the mayor and other councillors in town council meetings. The extensive land holdings of Frederick Greenham were sold off following the death of Frederick's widow Mary in 1889 and at the sale Levi bought two large fields (Leache's Mead (Parcel 312) and Priddle's Mead (Parcel 611)) off Horsey Lane. The sale description in the Western Gazette edition of 10 May 1889 read "Lot 7, another rich close of pasture land, adjoining Lot 6, together with the cowstall thereon, also in the occupation of Mr Thos. Sharland, and of the extent of 3a 3r 24p, Mr Levi Beer was the purchaser at £810 (about £77,000 at today's value). The 1891 census recorded him, Caroline and the three boys living in Greyhound Yard, a small court of lowly dwellings (still there today) located between the Greyhound Inn and the Cow Inn in South Street. Levi listed his occupation as a cheese factor. Levi Beer was responsible for speculatively building Beer Street, a development started along the very edge of the municipal boundary in the late 1890s. He, of course, named Beer Street after himself. He was also responsible for building Orchard Street that was named after Daniell's Orchard (also known as Beer's Orchard), on which it was built. He also built a butter factory in West Hendford which opened in June 1898. By 1901 it would appear that Levi and Caroline had split up; she had moved back to Nottingham and was working as a domestic servant while he was living in the Mermaid Hotel and still listed his occupation as cheese factor. 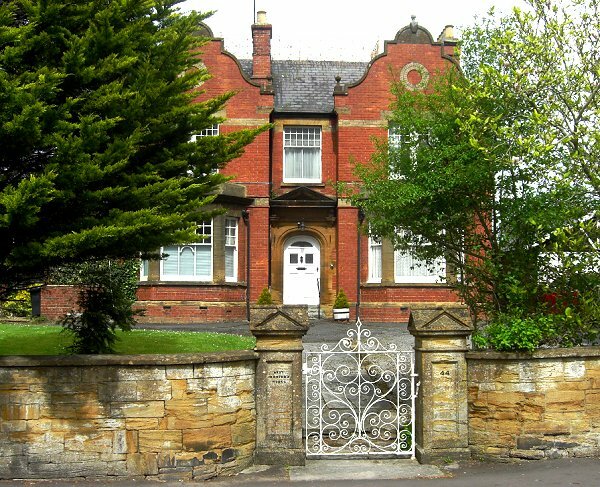 By 1905 he was living in newly-built West Hendford House where he lived until his death. 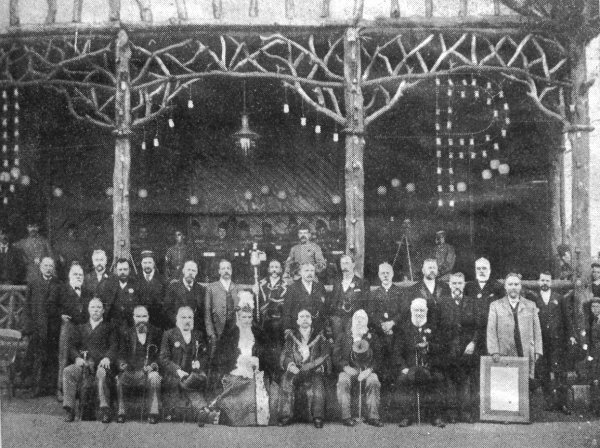 In January 1906 Levi presided over the annual dinner of the Skittle Club, where thirty five members enjoyed an "excellent repast" at the Half Moon Hotel in Silver Street. 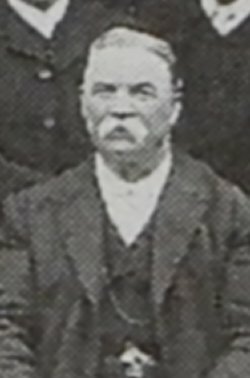 He was a Governor of the Yeovil Boys County School and the photograph above left is taken from a 1909 photograph of the school governors and staff. Levi beer died 8 April 1911 and his will was proved in Taunton in by Ptolemy Colmer, medical practitioner, and glove manufacturer George Henry Gould. His effects totalled £386 8s 9d (around £38,000 at today's value). Advertisement placed by Levi in Whitby's 1892 edition of Whitby's Yeovil Almanack Advertiser. Levi Beer's advertisement informing the public of the opening of his new butter factory in West Hendford, from the 1 June 1898 edition of the Western Gazette. 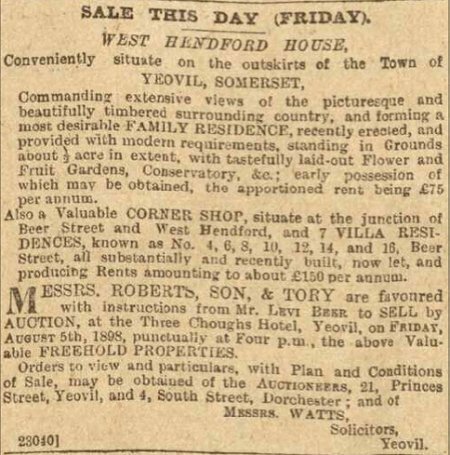 This notice of sale was placed in the 5 August 1898 edition of the Western Gazette. The sale included West Hendford House, the shop on the corner of Beer Street and West Hendford (almost certainly Tony Robins' shop, but it could have been 'Nippy' Andrews' shop on the other corner which was also originally a grocery shop) and seven houses in Beer Street. All sold by Levi Beer who had built them - he was later to live in West Hendford house himself. Levi Beer's home, West Hendford House, photographed from West Hendford in 2013.